Our pole tent rentals are commercial quality and include setup and takedown near Springfield, Illinois. 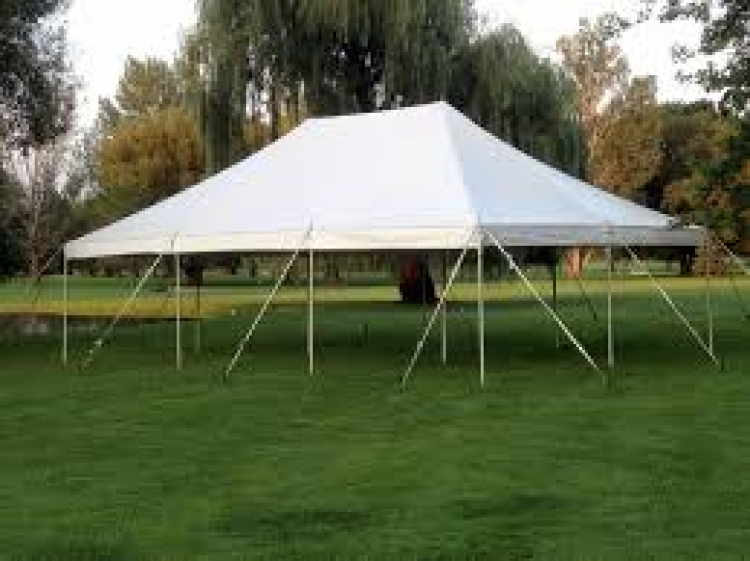 We travel all over the midwest so please call if you have any questions regarding tents. Pole Tents have poles on the perimeter of the tent and in most cases in the middle of the tent. Pricing includes setup and takedown on a grass surface. Additinal fees could apply on different surfaces. Our pricing also includes for the entire weekend in most cases.